Building a Business Intelligence (BI) solution could be compared to constructing a building. We need to build this solution on a solid foundation, which allows us to build different projects, with the security of being based on a structure that allows us to grow. But, if everyone accepts this statement in construction, why are there organizations that opt ​​for another strategy when it comes to building a BI solution? Some time ago, I worked in a project for a client who made a serious mistake. I called this project “The Leaning Tower of Pisa”. This client contacted me because in that organization they had several problems with their BI solution. The most important one was functional. They could not get correct results. So the client wanted an expert consulting service, which would allow them to identify and solve existing errors. They had tried to solve it by asking the consultancy company who had built the BI solution to do it, but they were unable to find the solution to these problems. Given the urgency of the client, my objective was focused solely and exclusively on the resolution of the issues detected. Therefore, I set aside my usual top-down approach to focus on the problems identified. However, I could quickly identify that the problems causing these incidents had their origin in design flaws of the existing BI solution. I decided to write a report detailing the implications of these system design errors along with a Pros & Cons analysis of maintaining or solving those errors. I also stressed the fact of having built a BI system without any validation of its quality. They had not made any kind of inquiry into previous clients of that consultancy company nor had they opted for the validation of the design of their service provider by an independent expert. They had accepted the project blindly. And it was a project with transversal visibility in the organization, where the impact could affect decision making in all areas and levels of the organization. They were building a giant with mud feet. At that time, I gave them the example of the Leaning Tower of Pisa. They were at the point where they discovered that the tower was not straight. It was time to decide what to do. If they went ahead, they ran the risk that the BI solution would be impossible to maintain in the future, having to make a large investment to rebuild it. If they decided to solve the foundation issues, they would have an extra cost not being budgeted, but in the long run, the cost would be much lower. My client wanted a quick solution. This is why they chose to go ahead with the resolution of the issues detected initially, without solving the design flaws of their BI solution. So, I focused to solve them, not before warning them again of the risk that this could entail in the future, in the event that they wanted to expand the existing BI solution. I think it was after a couple of months of finishing the service for which I was hired, that I received a call from the same client. They were desperate. They had a new BI project under development, but there was no way to make it work. Neither their usual service provider nor their internal BI team were able to move forward the project. When they tried to implement a new functionality, they caused other existing functionalities to stop working. They were in a dead end. The Leaning Tower of Pisa could not grow anymore. This time, my client opted for a different approach. They asked me to evaluate the possibility of finishing the project, but also to estimate the cost involved in rebuilding the whole BI solution in order to have a scalable system that could easily grow in the future. When presenting my proposal, I stressed the importance of evaluating long-term costs. That had been their big mistake when they initially contacted me. In a BI project, it is very important to take into account future projects when calculating the Return on Investment (ROI). This time they did it. And they came to the right conclusion in their situation. They decided to rebuild their BI solution. Such was the confidence I got from the client that, instead of hiring the services of a larger consultancy firm than StraBIA, they decided to entrust me with the project to rebuild their BI solution. That was the beginning of a satisfactory professional relationship. A BI solution is an information system with a wide visibility in an organization, since it is used for decision making at all levels and in all business areas. Being such an important system, it is a must ensuring that it meets the required level of quality. This is even more important due to the fact that it is a type of project with a very low number of experts when compared to application development projects, for instance. Everytime I’m in charge of maintaining or expanding a project in a new client with an existing BI solution, I spend some time to analysing it, identifying areas for improvement. I know that by doing this, some of my clients have avoided unpleasant situations in the future. That encourages me to continue doing it, even if StraBIA does get the fix and improvement project. Fortunately, this is not always the case, and sometimes, like in this case I just told you about, we are assigned the project. And in these cases, an audit of the new BI system would evaluate the new solution with a very good mark. Do you think that your current BI solution is ready to grow while maintaining the levels of performance, effectiveness and maintainability required by your business? 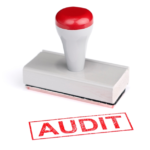 Do you think that your current BI solution would pass an audit? If you have answered “No” to any of these questions, I hope this article makes you think of the risks that you may face in the future.